My latest project, which arrived last week. I was delighted to discover the existence of these Starcraft kits, and hopefully one day I'll have the entire Enterprise range. I've also ordered another more detailed decal sheet from JT Graphics, though the model itself is very intricate for it's size. I've currently got as far as sanding it down and removing the mold marks, and drilling the holes for the dowel. I think it looks about right although I had some trouble with the alignment of the hole on the model so I'm going to have to partially fill it and try again. It's my first time mounting a model like this though so I'm not too suprised. I'm also not sure how I'm going to paint the windows neatly yet as I usually use a fine point sharpie to draw them in, but they're much too small on this kit to be able to do that. I would do it with decals. 1/1400 is smaller than the 1/1000 and trying to draw windows on that would be a fist class pain. Yeah, I see JT Graphics do a window one, I should have ordered one at the same time as my other sheet really. At least there's very few windows on this compared to the other ships. This is coming along quite well. As far as as the colors go. I like the lighter grey for the main hull color and the darker grey for accent colors like the leading edge of the connecting dorsal, the scalloped areas under and behind the bussard dome"vents", the screens in the trenches on the nacelles, and the rear nacelle caps. Not much more progress on this lately as I've been away working. I've kept on filling and sanding the seams and other imperfections as it's difficult to say 'enough is enough' and just start painting. I think the same light and dark grey colour scheme I used on my Ent-E will be the one. All I'm missing now is the Enterprise C and NX-01 (can you even get a 1400 one?) and I'll have the full set! 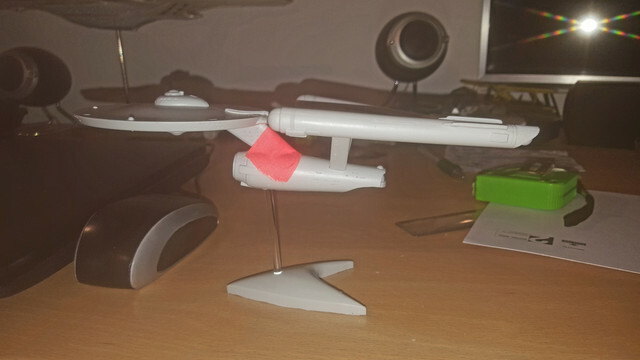 This is a 1:1400 scale one piece model of the Enterprise NX-01, it measures 5.5" long. Ah thanks, doesn't look ike it comes with any decals though. Think I might try get all these Federation Enterprises built before I branch out any more, the Mrs is already going mad at me! 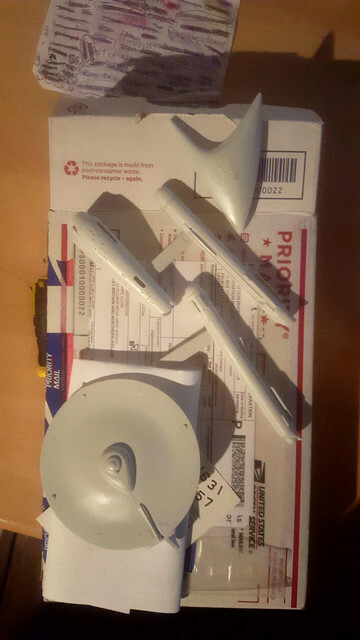 Been away working a lot lately so haven't made much progress on the Enterprise, but hopefully by the end of June I'll be getting the paint on. 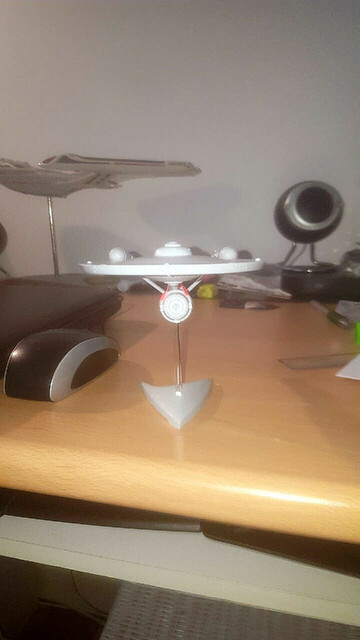 Resin Modeller does the NX as well, along with a few other ENT-era ships in 1400. Looks like you're getting quite the collection there! You're gonna have a blast!